“Automation” means designing an architecture around the spectrometer that will enable the analysis of production samples without any or with only minimal human intervention. While the customer is free to decide on the degree of automation, the concept should always take into consideration that the spectrometer itself forms the central device as it delivers the analysis results and with that is decisive for the success of the entire system. Being aware of this responsibility, OBLF’s interpretation of “automation” has always involved making spectrometer optimisation a top priority. In this vein, we were quick to recognise the importance of providing operators with an easily accessible spark stand. 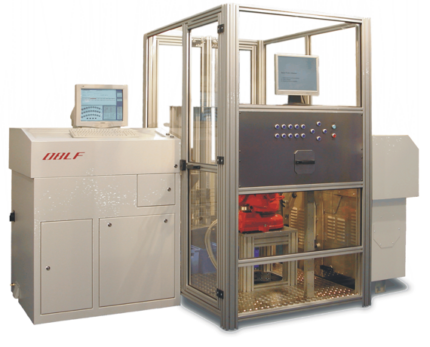 As a result, a handling system can simply be positioned in front of the spectrometer without requiring additional work. For that reason, automations involving OBLF spectrometers have never required additional constructions that would, for instance, be used to open spark stand covers to enable insertion of a spectrometer sample. However, our homework is not just restricted to optimising the spectrometer’s handling. It is, in fact, crucial to take every inch of the machine into consideration because as soon as an automated system is commissioned, it always spotlights every single weakness of a spectrometer in the most drastic and sometimes even dramatic way. This is due to the fact that automated operation naturally does not offer the possibility of intelligent human intervention should problems occur. 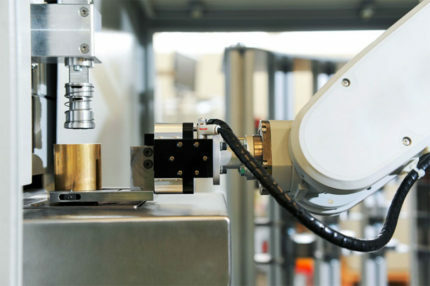 Once combined to form a complete system, the features of the individual subassemblies making up our spectrometer systems provide unique advantages.These ensure that a customer operating an automated production line will not just get correct values from the spectrometer, but can rely on getting correct values at all times. What does it take to create an automated lab? 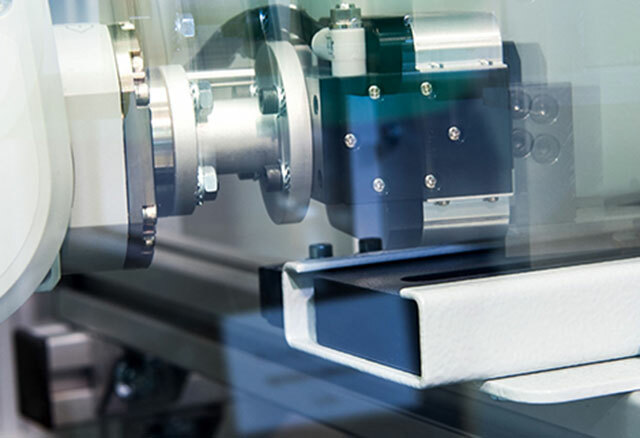 The integration of our spectrometers into complex automated environments is always completed in cooperation with renowned enterprises specialised in the given field. 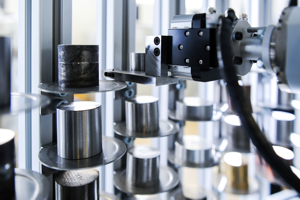 We are therefore capable of providing complete systems with which entire steel mill labs can be automated. These systems are made up of all the requisite components from a pneumatic mail station through a pre-analysis sample-preparation and surface-control module right up to a module to transfer analysis data to the responsible recipient. 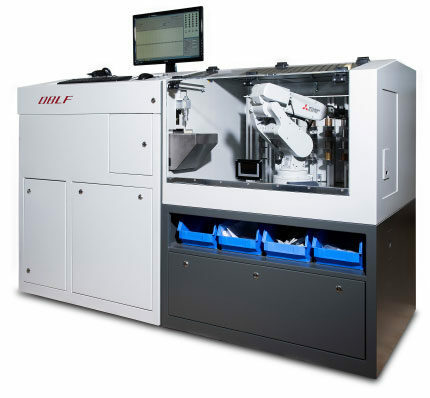 Smaller automated systems consisting of no more than a sample-handling machine, handling robot and a spectrometer are built by and can be made available directly from OBLF without the involvement of external partners.